From the revving up of purrs to the catering to your cat's every need, Margaret has the cat book for you. Know Your Cat's Purr Points, The 9-Life Habits of Highly Effective Cats, Cats' Tales from Shakespeare, The Latex Cat, and NOW… Féline Cuisine. Introducing Little Mister Mischief. He may be small but he knows how to make an impact. Soon Little Mister Mischief will be scooting his way into trouble and out again to delight your children — and you. 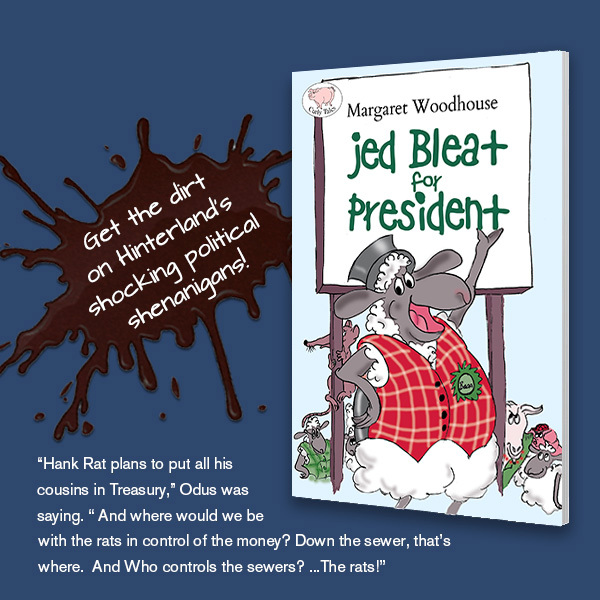 … Jed Bleat is nonetheless persuaded he is the one animal who can shake up the political status quo. 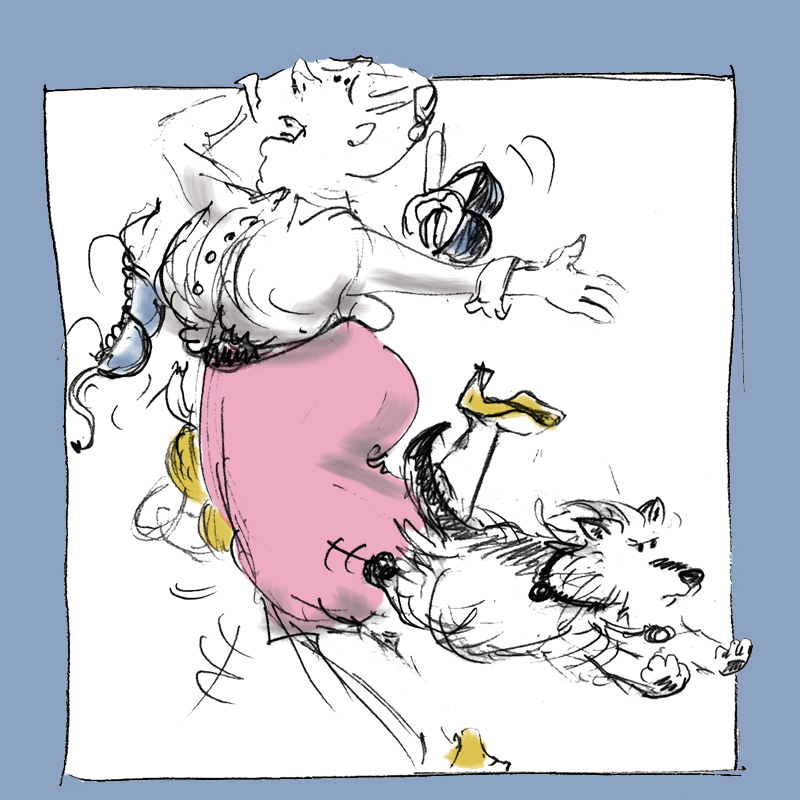 But whether he can best Odus the Pig or Hank the Rat will not be known until Hinterland goes to the ballot box. Using semaphore flags to signal from one ship to another may be a thing of the past, but women know — hand signals get the message across. Two men, friends travelling two very different life paths, meet to recapture happy times. 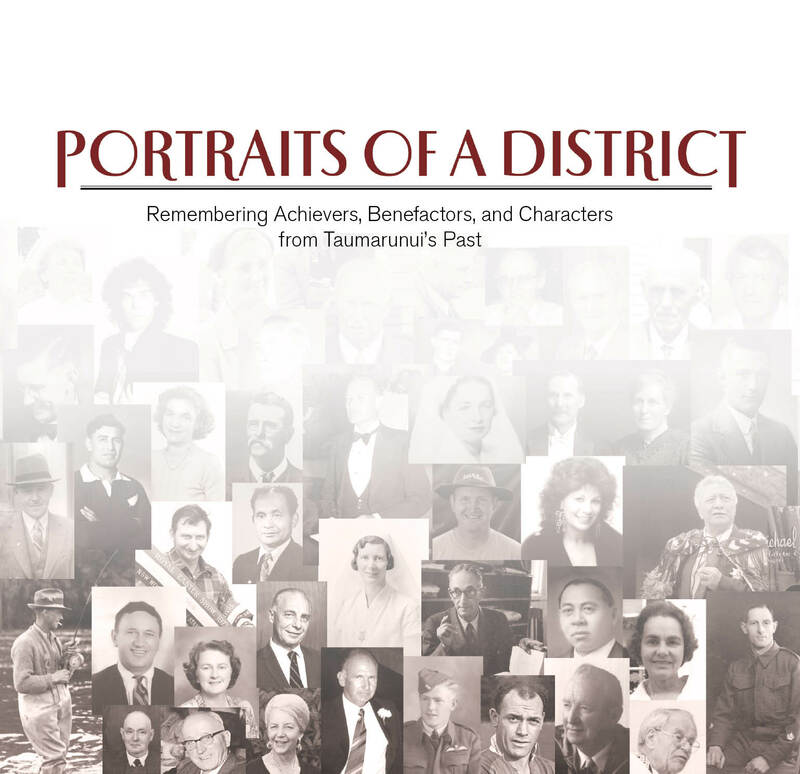 But the memory of a past tragedy becomes the catalyst to unravel the driving force behind each one and leaves them forced to consider the worth of their achievements. Just what has Rusty been thinking lately? He can solve the world's problems. "Magari!" Why can't journalists write proper-ly. Indulge your cat! Take your cat to a whole new level of purring. …include: relationships with your human; and dog-deflection techniques. From sport to kitten care, cats find condoms useful for every occasion. 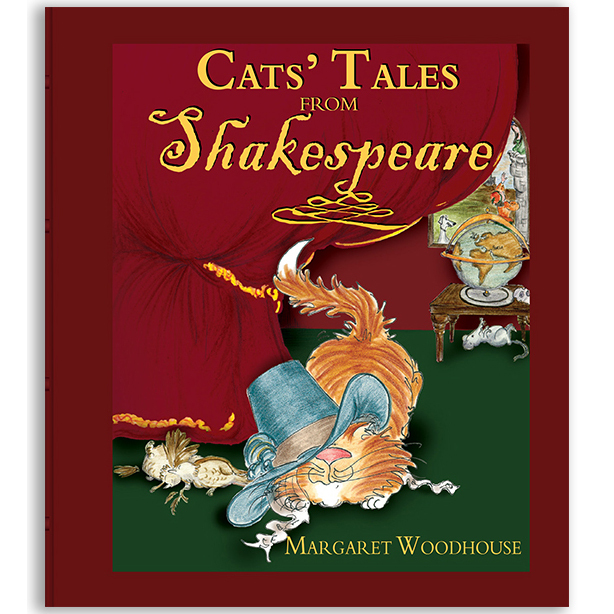 Shakespeare's imagery is caught in exquisite portrayals of pussycat portraiture. …or indulge in a little whimsy. Greed consumes reason in the land of the Weaseldomderry. In the race for president Jim leads the pigs. Can he keep his nose out of the trough? Will Tom ever find his way back home again? With a whirlwind spirit, Little Mister Mischief scoots into many adventures. Maybe sorting out Fact from Fiction is more your thing. A remote New Zealand coast sets the scene for a tale of loyalty and betrayal. Open up this trunkful of sage advice. Purr into stress-free cooking with human recipes presented by some fabulous cats. Girls! Learn Female Semaphore and you need never be misunderstood again. We're pleased you would like us to keep you in touch about new titles and Magari news. Margaret has been writing professionally since 1985. She has had more than 30 titles published internationally. In 2000 4 British MPs recorded Jim Bleat for Prime Minister, for charity, BBC Children in Need. Her ginger cat first starred in The Kama Sutra for Cats. Miu Sakamoto composed music for the Japanese edition of Know Your Cat's Purr Points. The Latex Cat, which she devised with husband, Jack Gower, is not really so frightful. 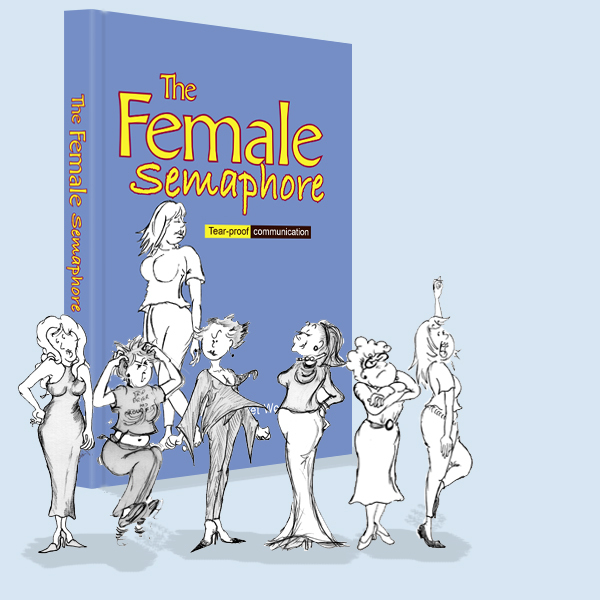 The Female Semaphore was born out of a healthy frustration. 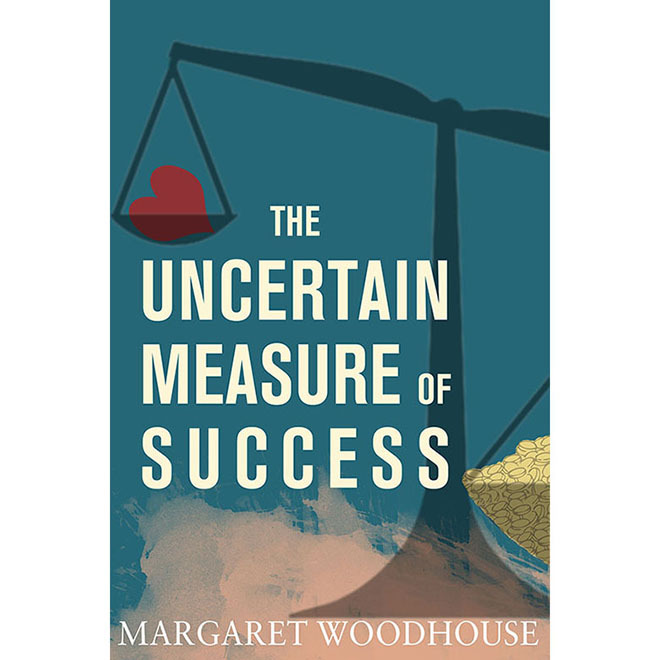 Her first novel, The Uncertain Measure of Success, was published in 2016. Margaret writes, packages and edits books, AND assists Rusty to lodge his files. Through The Booksmiths she provides a full book production service. At The Booksmiths, Margaret teams up with a skilled band of people who know everything about the book production business. Writing, editing, proofreading, illustrating, designing, organising book and print production, book promotion, web design, public relations – these are all elements of editorial or book production. It doesn't matter how large your project – or how small – Margaret and The Booksmiths can sort your project out.